Can Dogs Eat Cantaloupe? Is Cantaloupe Good For Dogs? As a dog owner, it can be tricky to keep track of which fruits are okay for your canine companion to consume. So, can dogs eat cantaloupe? Yes, the tasty melon is safe for pups to eat in moderation and can be a healthy alternative to traditional treats, especially if your dog is overweight. Even the seeds are harmless, but you should avoid feeding them to your dog intentionally, as they can be a choking hazard. Is Cantaloupe Good for Dogs? Cantaloupe is an excellent source of dietary fiber, vitamin B6, niacin, folate, vitamin A, vitamin C, and potassium. It is also low in calories and high in water content, making it a tasty way to rehydrate without packing on the pounds. Vitamins A and C provide lots of health benefits for dogs, most notably in their role as antioxidants. Antioxidants play a crucial role in capturing free radicals, which slows cell aging, promotes healthy cell function, and may help reduce the risk of certain diseases. 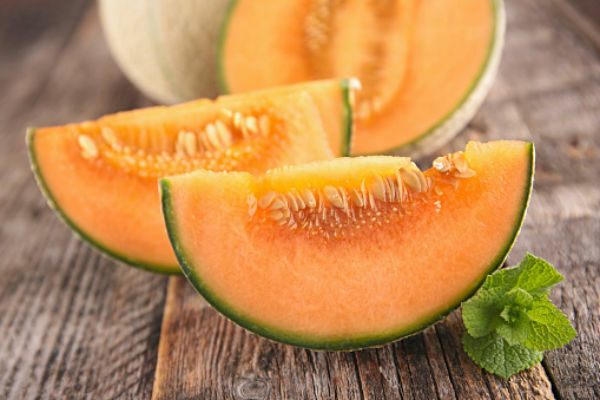 The high water and fiber content in cantaloupe also promote healthy digestion and prevent constipation and dehydration. There are some risks associated with feeding cantaloupe to dogs. Cantaloupe rinds, like watermelon rinds, can cause gastrointestinal upset and become impacted in your dog’s digestive tract. These tough, fibrous skins are also a choking hazard. Like any treat, cantaloupe should be fed in moderation. Too many treats, on top of a healthy diet, can lead to canine obesity. This fruit is also high in sugar and may not be a good choice for diabetic dogs. If you have questions or concerns about feeding your dog cantaloupe, consult a veterinarian.